Being raised in a mountainous desert, it is difficult to imagine rainforest. Frondy palms shimmer above deciduous trees flaunting slick green leaf clusters, surrounded by arucaria pines, dense with stiff, flat, spiny needles. Their lower trunks are hidden by smaller trees on which shield-like leaves mingle with tall bushes whose shiny green-black foliage contrasts with fragrant bouquets of carefree white petals. At the base of these are sprays of all the tropical plants in our parents’ funeral baskets, grown gigantic and more lush, sprouting flowers we never knew they held. And filling in every available space, orchids living on bark and air; bromeliads hiding secret caches of water, spiders, frogs; vines as thick as a thumb here, as thick as a wrist there, coiled around every trunk and branch; and a fine dusting of moss on everything that doesn’t sway in the whisper of breeze drifting through it all. I am sitting on a broken wooden bench in the São Paulo botanical gardens, marveling, once again, that I am so far away, physically and metaphorically, from home. And lest the above paragraph sound too idyllic, this bench and every non-living thing in sight is awash in black mildew and splotches of gray mold. The air itself is warped with water. I watch dragonflies, some fat, crimson, clumsy, others an iridescent, translucent blue, as thin and fragile as a string of dust, darting among the densely packed lilypads. A curious yellow butterfly as big as my hand flits around my shoulders wondering if my blue shirt might yield nectar. Two smaller white butterflies dance by, concerned only for each other. And in the midst of all this beauty, my imperative and recurring thought is that I have to tell Lynnae (Wood) about this place. The ancient wide stone stairs built into the forested hill would be a perfect spot to take yearbook photos of the prom queens. It has been 50 years now, the golden anniversary of our graduation from high school, and yet my mind still seeks impossible solutions to problems long past. There are no more yearbooks, no more prom queens, and if there were, traveling to a tropical garden in Brazil would not be terribly practical. Why does anything that happened that long ago still matter? This June, I will take a week-long break from my mission in Brazil, to travel home to, among other things, see my granddaughter, Emily, graduate from Bountiful High School. I am the oldest daughter of an oldest daughter. Emily is the oldest daughter of my oldest daughter, Jennifer, who graduated from Bountiful High twenty-five years ago. It seems somewhat notable that we will have three generations of oldest daughters who have graduated from Bountiful High twenty-five years apart. All three of us sang in the school choir and were involved in drama. We all got decent grades and loved new ideas. Jen and I (and I hope, Emily) have gone on to have enjoyable and interesting and even moderately successful lives after high school. 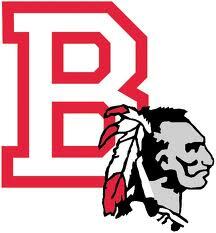 But Jen and I (and I hope, Emily) still value the friends and experiences we had all those years ago at Bountiful High. I am sure, as Emily's choir rises to sing the school song, I will, perhaps with a small tear or two, join them in my mind as we affirm, "Oh, Bountiful, we're proud of you." I'm still Bravey after all these years. It was 50 years ago. I am retired now, after 26 years as an elementary school teacher. No alarm clocks. But often, on the rare occasions when I have to get up before sunrise, I am transported back to the days of Pep Club. Someone will be honking their horn soon, where are my shoes, where is my homework, is my shirt clean. Urgently! Now! it was nice, on game days, not to have to think about what to wear that one morning. I remember discussing how superior our uniforms were over those of other years’, although there is only so much you can do with red, gray, and white wool. I remember learning the marches and being embarrassed because I so easily forgot the moves, and a couple of times put my pom-poms up when everyone else was putting theirs down. A lot of my strongest feelings from high school are of embarrassment—for things I did, and more, for the great fear that I would do something to prove that I was not coordinated, not nice, not dependable, not smart, not cute—not cool. It was 50 years ago, but I still remember shoes. I was the oldest of 9 children and we did not have a lot of money. I suspect I was not the only one in our class in this condition. It was difficult for me to get the money for my Pep Club uniform. After a few weeks of school, we were told that we could only wear our Pep Club shoes with our uniforms on game days. I had one pair of school shoes—two inch heels with a T-strap which were always worn with nylons (what were we thinking!). 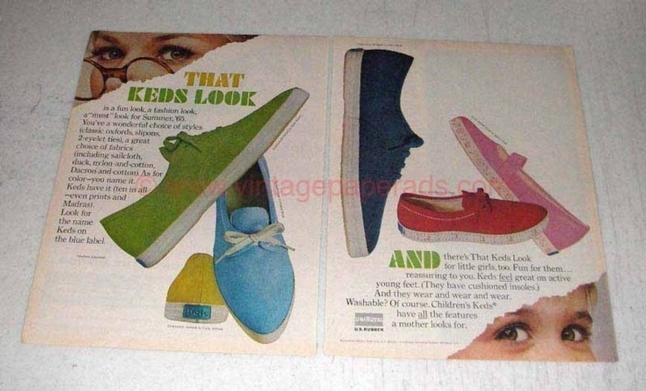 I loved those shoes, but soon the heel wore off and I was left with a metal nub that would slide across the tile floors and snag the carpets, exposing me to the possibility that someone would find out I had worn out shoes. I was grateful to have a pair of Keds to wear on some of the other school days. And then I didn’t. I was distressed about it for a few weeks, but mentioned the problem to my parents and they somehow found the money to get me another pair of Keds. I felt extravagantly rich. Then someone told me that Suzie Woozley had 15 pairs of shoes—some of them from the Chalk Garden—and I was stunned. I couldn’t imagine that wealth. I was not jealous in the sense that I didn’t want her to have them, but it opened a window of possibility to me. I vowed that someday I would own 15 pairs of shoes myself. And I did. It was 50 years ago, but to this day, the shoes in my closet give me a feeling of calm assurance and satisfaction. It was 50 years ago, but if I am standing in an elevator and happen to hear “Roses Are Red (My Love)” (very seldom) or “Can’t Help Falling in Love” (much more often), I am filled with angst, wondering if some sweaty boy will have the nerve to walk across the gym floor and ask sweaty me to dance. Or if I hear a Beatles song, I ache with young love and a longing to be kissed in that hungry teenaged way again (note: that is not a desperate invitation). The Beach Boys are not played as frequently now, but once in a while I’ll catch the notes from “Wouldn’t It Be Nice” or “California Girls” and it is all I can do to not start dancing right there in the grocery store (with the body I have now, not a pretty sight!) and singing the words at the top of my lungs. For birthdays, I would usually ask for clothes or books, but I listened to what others were saying and realized that to be cool, I really should be asking for record albums. 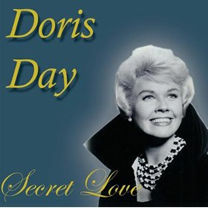 I remember proudly telling a group of girls that I got a new album for my birthday: Doris Day’s “Love Him”. They laughed that I even wanted a Doris Day album and I felt my cheeks burning. Here I thought this would demonstrate that I, too, was cool, and it had shown just the opposite. Still, the album kept me company many nights when I was home alone and everyone else, I just knew, was out on a date. Kristy Rampton invited me to her cabin one time and we hugged the trees and sang Doris Day’s “Once I had a Secret Love.” Looking back over 50 years, one of my favorite groups of all time was the River Bottom Boys. I wish you guys had made an album. Today, my tastes lean more toward James Taylor, Simon and Garfunkel, and a harmonious female group called the Wailin Jennys (Does that prove, once again, that I am not cool???!! ), but no one has ever replaced the Beatles in my heart. In fact, I gained a great deal of prestige with my children and my students when I told them that it was me and my classmates who first heard the Beatles and fell in love. I think we all fell in love with the Beatles. It was 50 years ago, but I still remember driving in Konnee Fuller’s little red MG and debating which of the Beatles was the best. Most of us vacillated between Paul or John, but a few liked Ringo to prove that we were a little edgy, and Konnee LOVED George. She would hear no arguments about him being anything less than, not only the #1 Beatle, but the #1 man in the world/the universe. We would pile in her car and go to lunch at Andy’s or Paces. She usually got a large Coke and a Cherry Blossom candy bar. I wondered aloud one time if that was an OK lunch when she had diabetes, and she laughed and shrugged it off. 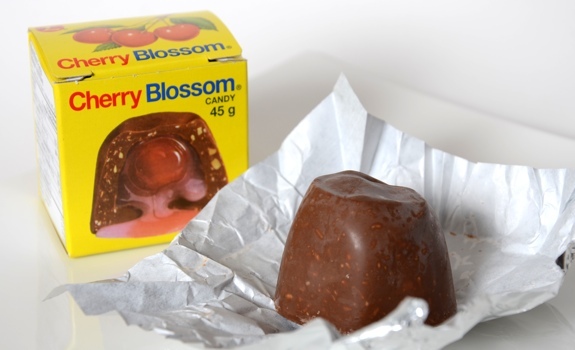 She said she would probably be dead by the time she was 40, and I remember thinking how very far away that was, and that most of us would be pretty close to dead by 40 anyway, and that Cherry Blossoms were certainly worth it. Konnee was so full of life. When she laughed, the world seemed perpetually sunshine. She and Woody were wonderful debaters and made all of our outings so fun. It seems strange that we graduated and I didn’t see her again. Or LeeAnn Lewis. I saw LeeAnn practically every day of high school (we had Arabic together) and then she was gone forever. She made me see how wonderful it would be to be tall. She was cute and kind and joyful. How can that much life, that was such a constant part of my life, simply vanish. I didn’t know anything about her post-high school, but I was glad to learn on this year’s website that she had lived longer than I thought and had married and had children. I was so grateful that Kenny found Claudia LeMay. She is another classmate who had just vanished. Claudia was larger than life. She was made for the new Twiggy clothing and was one of the first to try the sleek, short Sassoon hairstyle. It was 50 years ago, but I still marvel at her energy and originality. And I grieve. And whatever happened to that other constant, Gayle Morgan? She simply disappeared from our lives forever. I also grieve for Dale Taylor and Bobby McClellan. They were in my LDS ward, so I knew them well. As an adult, I moved back into that same ward, so became good friends with their parents and siblings, but I don't know that I ever saw Dale and Bobby again. Pat Leetham was in our ward too, and went to school with us, but doesn't appear on any of our class lists. Did he drop out? Did his name just get left off the lists? Whatever happened to Pat? I moved to Bountiful Elementary in March of 6th grade. My teacher was Glenn Tonge, who later became the principal for my children at the same school. On my first day of sixth grade in this new town and new school, Jean Williams told me that the three most popular girls were Karen Westergard, herself, and Patti Guymon, and the three most popular boys were Brent Blackham, Jimmy Price, and Pat Leetham. 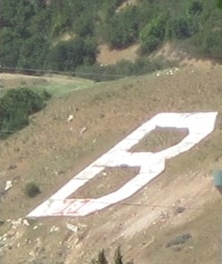 Bountiful seemed much more into sports than my previous Salt Lake school. They had a serious pentathalon, and girls were expected to run and jump and play softball as well as the boys (Aaawwk!). If I remember correctly, Karen Westergard beat everyone—both genders-- in running. Not long after that, Jimmy Price moved away, but I was surprised and delighted when I found out that Patty Guymon had married him. Sixth grade was much more than 50 years ago, but I hope I can see both Patti and Jimmy again at the reunion. As a school teacher, I saw many changes in the way girls were treated, and as policies came into play which gave girls more athletic outlets and recognition, I thought often of Karen and Patti and Jean and LaVona and Kathy Anderson and other girls who were amazing athletes (on the subject of female athletes, my mind is squeaky clean—sorry, if you were better than any of the five I mentioned above) in gym class but were never cheered for as a team. It was 50 years ago, but I'm still amazed that some of the things I learned in BHS classes are useful in my life today. Barbara Butler was my sophomore English teacher. I moaned about the assignments we had in finding the Greek or Latin roots of our vocabulary words, but was amazed at how much knowing those roots helped me in taking standardized tests, in learning other languages, in understanding new words in many fields. In my elementary teaching career, I taught Greek and Latin roots to many groups of students. When I was home, I would still see Barbara Butler in my gym when she was 90. I don't think she remembered me, but she did remember Gordon Irving: “An amazing writer!” I also have a vivid memory of Kim Burningham and debate. He taught us logical fallacies and I think of them often when I hear political speeches. Mr. B. also taught me good speech writing skills, which translated into good essay writing skills, which blessed my life in a hundred ways in college and in life. And Mr. B., because he believed in me, also helped me to believe in myself and try new things. Knowing him literally changed my life. I am in a book club with his darling wife Susan now, and remain grateful for his influence in my life even 50 years later. 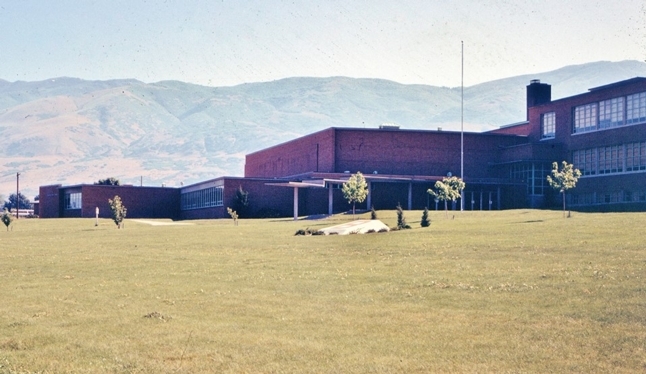 It was 50 years ago, but because my children and some of my grandchildren attended Bountiful High, I have walked its halls often. There have been many changes to the building itself and I get lost going from one section to another. But there are times when I will turn a corner and find myself going down a stairway that is exactly like it was 50 years ago. Instantly, I am late to gym, worried about my papers spilling on the steps, wondering what is for school lunch today, hoping I can have time to spend a few more minutes studying for a test, thinking about what must be done to make the yearbook deadline or get things ready for the dance. There is a new BHS gym, but the old gym is still there, filled with the echoes and smells of our adolescent selves. 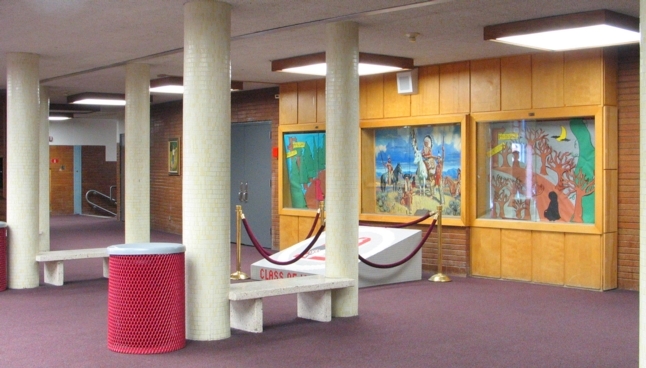 Across from the gym I walk past the doors of the studentbody room and the yearbook room where I spent so many hours. A few years back, one of the doors was opened and I was so surprised to see that it was all changed. How could it? The football field is much the same as well. I had two sons in band and one who was on the football team (which is not to say that he played) at Bountiful High, so we attended many of the home games. It has been 50 years, but I still wonder at the mystique of football, the excitement in the air on an autumn night that made you feel that anything was possible. I saw the instant prestige it gave my children’s friends and my classmates, and vice versa, the painful realization that you could never really make it in high school without it if you were a boy. My career was teaching gifted children, and as I marveled at the incredible intelligence of some of those students, I shook my head, knowing they would never be shining stars in high school unless they also played football. Even 50 years after our graduation, football still defined much of my existence, as it continues to define the American adolescent experience. It was 50 years ago, but I still feel shame and sorrow over times when I said things I shouldn’t have said and didn’t say things I should have said. Gordon Irving was my neighbor for much of my married life. He would talk to me at church about people in our class who had died. He mentioned one girl who died fairly early. I hadn’t known her well, and wondered aloud about why she had died so young. Gordon mentioned that she obviously had some physical problems. And then it hit me. She was one of the handicapped people I so often urged my children and students to help. I had that desire to help in my own young heart and did some “candy striping” to care for the less fortunate. I didn’t even think about the “less fortunate” in my own class. I didn’t even recognize her as having special needs. I wish I had made more of an effort. I wish someone had pulled me aside and said, “Disability is not an abstract concept. This is who we’re talking about.” I should have talked to her more, been a friend. One big thing I shouldn’t have said occurred just before studentbody elections. I knew that Drew and Rob were running, and then Steve Salisbury showed up on the primary ballot (along with some other names—again, the brain is clean). I was spouting off in my first period Arabic class and said that I would quit school if Steve became studentbody president. Unfortunately, he had come down to talk with LeeAnn Lewis and heard me ranting. A short while later, LeeAnn told me that I wouldn’t have to drop out of school, Steve had withdrawn his name. I felt terrible. I was going to say I don’t know why I said it, but after thinking about it, I do have some ideas. First, I was very dramatic and often spoke in hyperbole. That is why I uttered the words. There is no way I would have dropped out of school for any reason. But the specific of Steve was much more complicated. 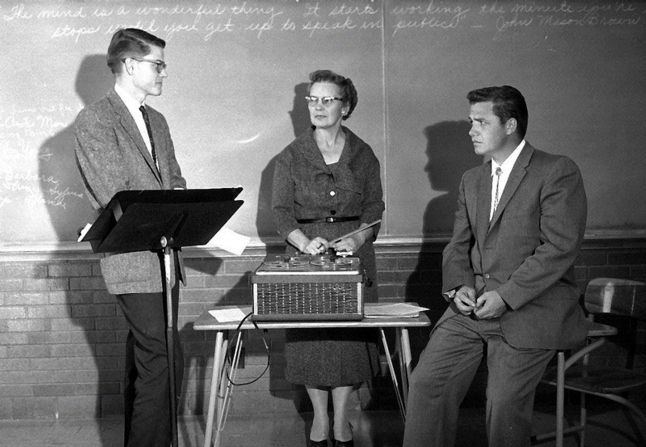 There was a short tradition of having debaters be studentbody presidents and Steve was not a debater. I was. And I wanted to keep a debater in office. I was also conflicted, even then, about athletes vs. brains, and although Steve was probably very intelligent, he was famous for being an athlete and I didn’t think BHS should go down that path. And honestly, Steve was gorgeous. If there were some way to quantify physical beauty, Steve would have scored more points than any male or female in our class. But he didn’t talk a lot. Normal people are allowed to be shy, but if you are really, really good looking and a star athlete as well, shy is transformed into conceited in the eyes of us less-exhalted mortals. The fairness gods could simply not allow that many blessings to fall on one human. Steve would have been a fine studentbody president, as would Rob and the others on the primary ballot . As was Drew. But I was unkind to someone who especially did not deserve it. Steve’s mother was an extraordinary teacher to one of my children, and I marveled that she could be so kind to me after my bratty remark about her boy. Being studentbody president meant college scholarships and other recognition that a mother wants for her child. She was such a good woman and raised a remarkable son. And even though it was 50 years ago, I still feel ashamed and sorry for my careless words. It was 50 years ago, but as I go down the list of classmates on our wonderful website (thank you Clark! Who could have imagined you would be this computer genius? Who could have imagined computers?) there are so many names that make me smile with memories as fresh as if they happened yesterday. For the most part, 50 years ago, we lived safe, clean, relatively happy lives. “Oklahoma” and “Music Man”were good musicals for our school to do. Other, simpler times. We all had a “glorious feeling everything’s going our way.” Most of us came from two parent families and many had moms waiting there for us when we came home from school, ala “Donna Reed”, “Leave it to Beaver”, “Father Knows Best”. But it also must be acknowledged that the times they were a-changin’. Our class was on the cutting edge of “hippies”and drugs and “free love” and a general falling away from the simpler Eisenhower years that had gone before. Our world was torn apart when, as sophomores, President Kennedy was shot. Life would never be the same. And since then, we have had many “Life would never be the same” moments—both as a country and personally. 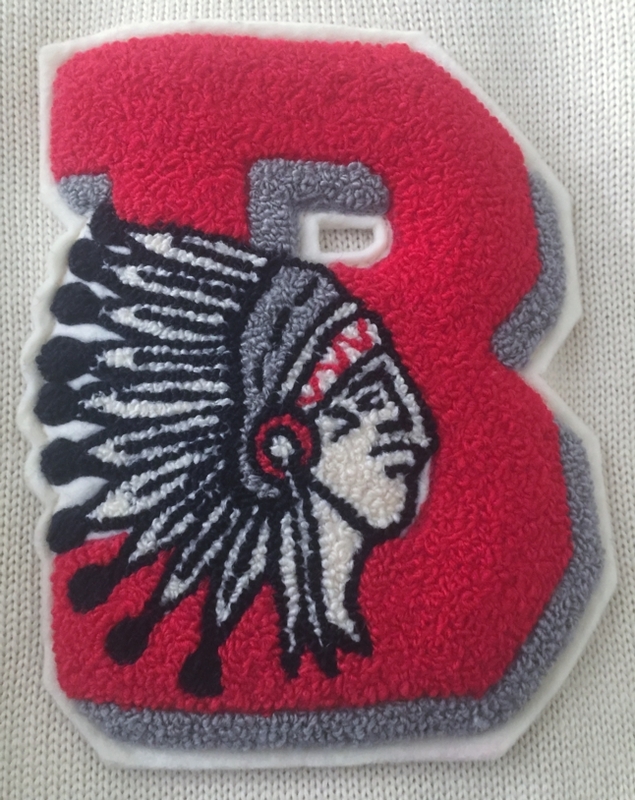 But enough time has lapsed that we can look back and smile, and even after 50 years, can still say, “Oh Bountiful, we’re proud of you.” The gray of our school colors now shows in our hair. We are wrinkled where we once worried about pimples. Competitive sports are out except for a few of us who do the Senior Games or are champion bowlers (Go Johnny! ), and most of us are grateful just to be walking. Or breathing. Our children, grandchildren, friends, hobbies, religion, travel, fill us with far greater joy than we could have ever imagined those 50 years ago. But there is still a special corner of our hearts that treasures a thousand moments from 1963 to 1966. We’re still Bravey after all these years.